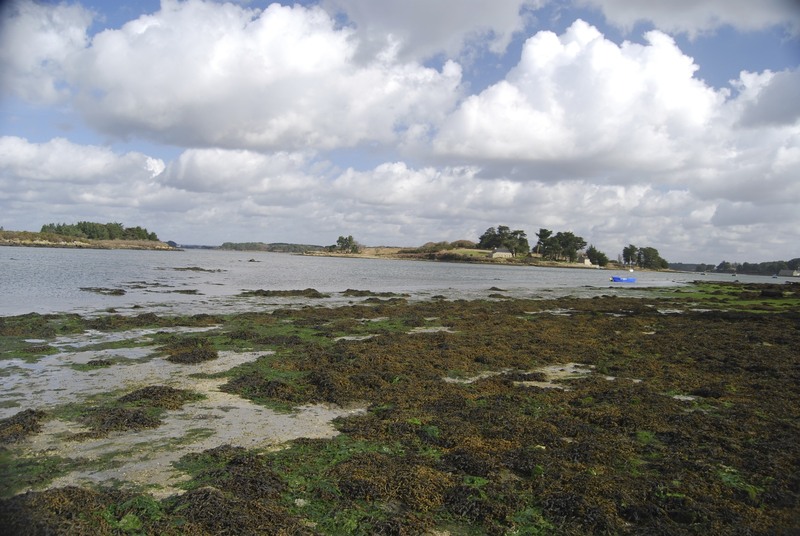 A Ria is a large Estuary made up of many low lying fingers of land, the Ria d’Etel lays at the end of the River Etel also known in Breton as Ster an Intel. Apart from being an area of outstanding beauty, there are some quite stunningly beautiful towns and villages. 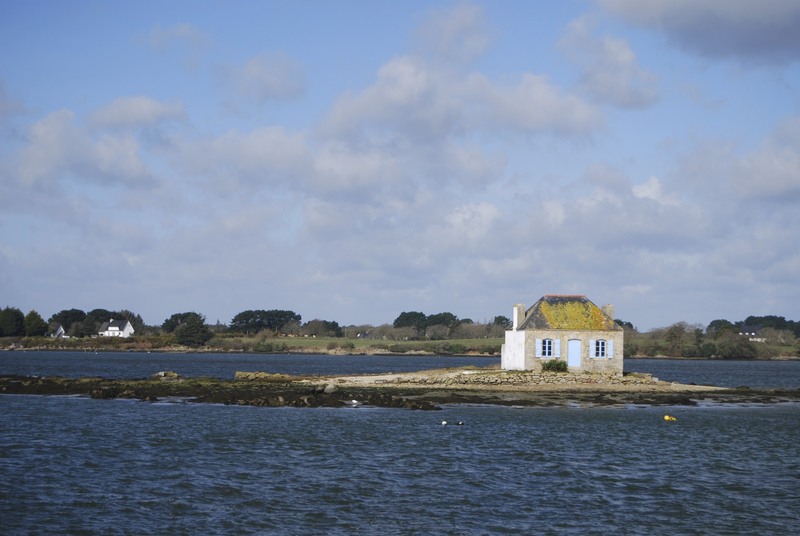 Most recognised is Saint Cadoadjacent to the Ria, a small Island off the shore carries what appears to be a tiny cottage, and begs the question as to “Who lives there ? ” There are in fact five of these tiny houses around the Ria which were built around the begining of the century for night watchmen to keep an eye on the Oyster beds. theft was a huge problem and the Oysters were highly valued. There are still many Oyster beds around the Ria today. 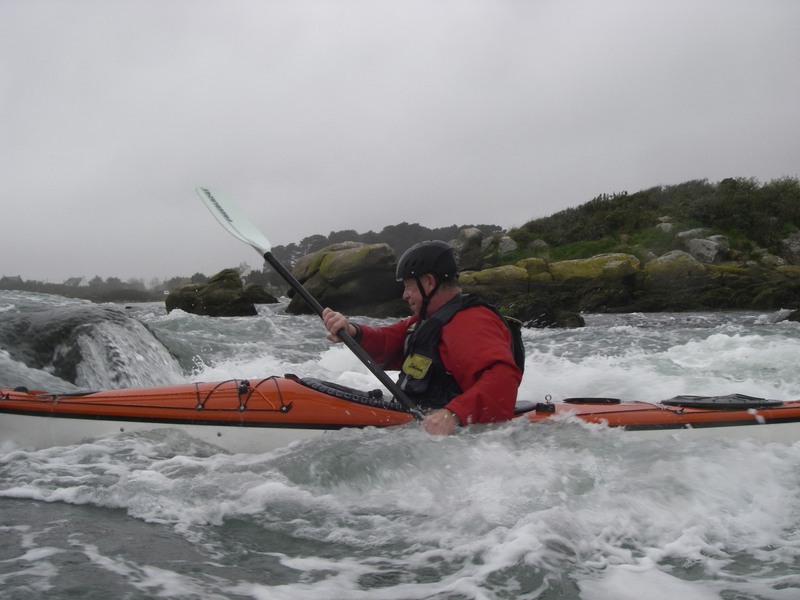 The Ria also offers more for the paddler, each spring tide will see the arrival of Sea Kayaks, playboats, and slalom boats. 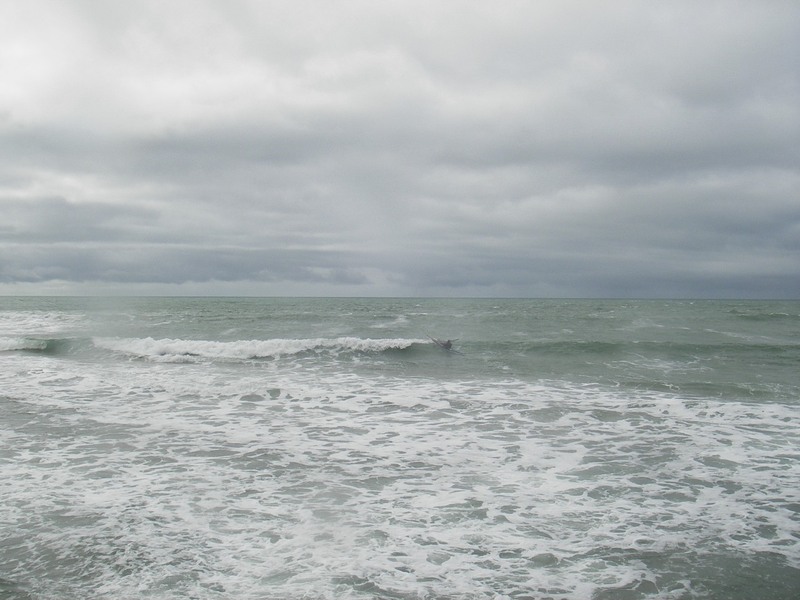 The estuary contains an area of around 22 sq kilometers, which fills each tide. Less than four kilometers from the entrance, the Ria is strangled with just a 100 meter passage for all these tidal waters. 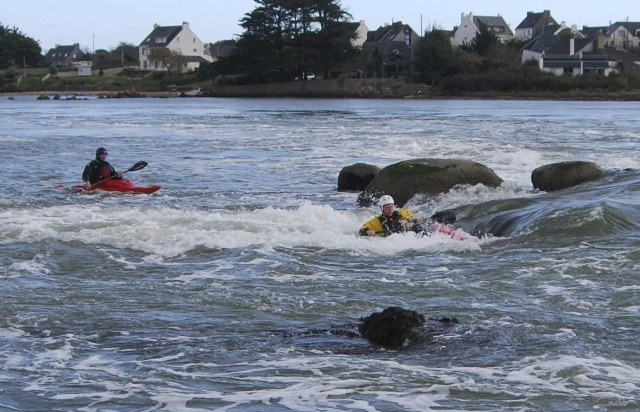 A group of rocks and islets just upstream create excellent playspots whatever type of craft you are paddling. It really is a favourite place !